I won't bore you with all the details (there are plenty of online reviews on this bike) but suffice to say it ticks all the boxes for my inner geek with a long list of electronics. It is hugely powerful, reverberating at idle and accelerating with more torque than a freight train. The sound it makes echoes between the buildings. I love my F800GS and it's not going anywhere, but the next time I do 3,000 miles over 12 days I need something a little bit more spacious and with adjustable seats. The 1200 ticks the box here also with the front seat adjustable for height and angle, and the rear seat adjustable for space (moving forward and backward). And with 50% more horsepower and nearly double the torque of the 800, it promises to be even more effortless on a long day of riding. After discussion with excellent sales exec Harald I selected options and accessories. I say excellent because Harald was patient and transparent with all my questions and went out of his way to liaise with the regional BMW UK manager to look into a small insurance issue for me (which was resolved to my satisfaction within 2 days). 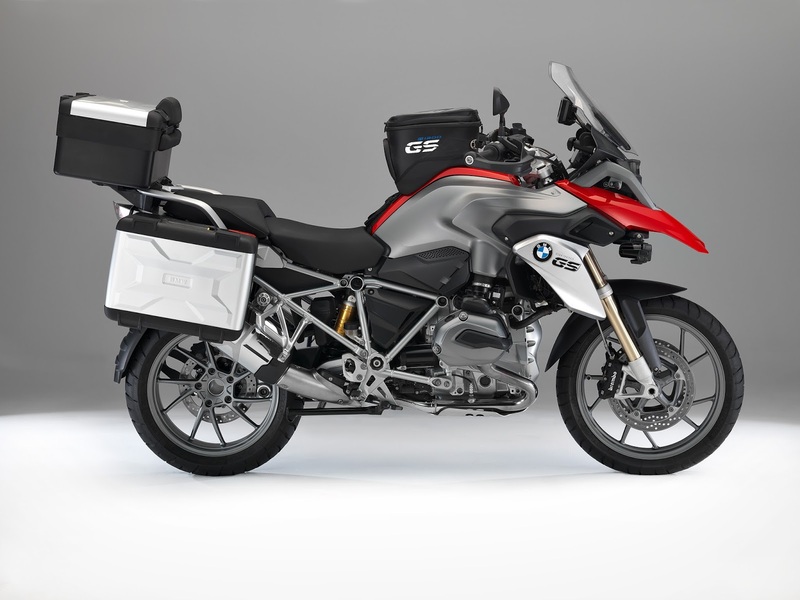 I put down my deposit on a red 2014 R1200GS TE to secure a slot on the assembly line in Berlin. Third week of September, the computer says. Tick tock. The TE (touring edition) includes the gorgeous full LED headlight/daytime riding light, electronic semi-active suspension (compensates for weight and road surface and can be adjusted firmer or softer as required), 5 riding modes, GPS mount, heated hand grips, tyre pressure sensors and cruise control. Why do I need two bikes? It gives me the best of both worlds really—I will use the F800GS for treks out on rougher roads/byways/trails, being the more suitable (and lighter) bike for this type of terrain, and also fitted with the tyres for the job. Since it has already done a winter on our salty roads, I can keep using it for commuting when the weather becomes foul without losing sleep over the inevitable damage the salt will do to the finish. For long trips and on days where it won't be getting a salt bath I'll have the R1200GS. That's not to say it will be a sunny day/Starbucks cruiser bike, I intend to use it to its potential as well. If, down the road, I find it does everything I want and the 800 becomes redundant I can always consider selling it on at that point. But for now it would break my heart to get rid of it when it has been a model of reliability and enjoyment. 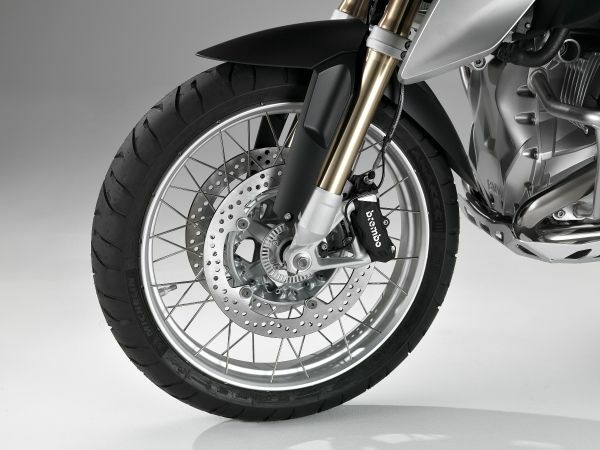 BMW's own insurance offers a really good deal for people with two BMW bikes—the insurance is paid on the more valuable bike and the less valuable bike is insured under the same policy at a flat rate of £5/£1,000 of value. A really good deal I must say. I'll need to update my blog description since it will now have a joint F800GS/R1200GS focus... Six weeks to go!